QINGDAO, June 10. /TASS/. Moscow never left the Group of Eight (G8), it was it partners who refused to take part in a Russia-hosted summit, Russian President Vladimir Putin told reporters at the end of his visit to China, commenting on some G7 leaders’ proposals to bring Russia back to the group. "As for Russia’s return to the G7, or G8: we did not leave it. Our counterparts refused to go to Russia for well-known reasons. However, we will be glad to see everyone in Moscow," Putin said. While commenting on a remark comparing the effectiveness of the G7 and the Shanghai Cooperation Organization (SCO), Putin agreed that as far as purchasing power parity went, SCO member states had left G7 countries behind. "If we take per capita numbers, the G7 countries are richer but the economy in SCO countries is larger," Putin said, adding that "the population numbers are also much bigger [in the SCO] - half of the world’s population.". 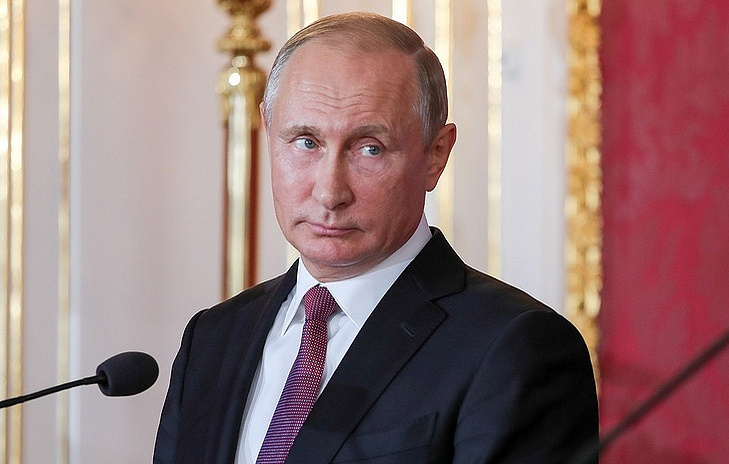 Disagreements within the Group of Seven (G7) should not be overestimated Russian President Vladimir Putin told reporters. "It is nothing unusual and should be taken calmly, without irony," he said. "Things happen," Putin added. "If we take the EAEU [the Eurasian Economic Community], we also have debates and it is not so that everyone signs everything right away." According to Putin, he does not have detailed information about the disagreements that emerged at the recent G7 summit. "It is definitely interesting as it concerns the world’s largest economies," the Russian president said, adding that "we can see some internal problems there. ".